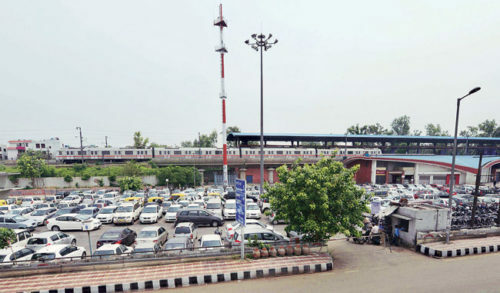 New Delhi: The Delhi Metro Rail Corporation (DMRC) has announced an increase in vehicle parking rates from Rs 2 to Rs 20. Increased rates will be applicable from 1 May 2018. Earlier, where four-wheeler used to cost 20 rupees for 6 hours of parking, it will now cost 30 rupees from 1st May. Similarly, parking of two-wheeler (for the first 6 hours) has been increased to 10 rupees, which has increased to 15 rupees. For the first six hours, the rate of cycling was 3 rupees, which has now increased to 5 rupees. The current rates for Delhi Metro Parking are effective from March 1, 2013, whereas new rates will be effective from May 1, 2018. For up to 12 hours, the parking rate of four-wheeler vehicles would be 30 rupees, which would increase to 50 rupees. Similarly, for 12 hours two-wheeler used to cost 15 rupees, which will now cost Rs 25. Four-wheeler used to cost 40 rupees for parking more than 12 hours but from 1st May to 60 rupees. 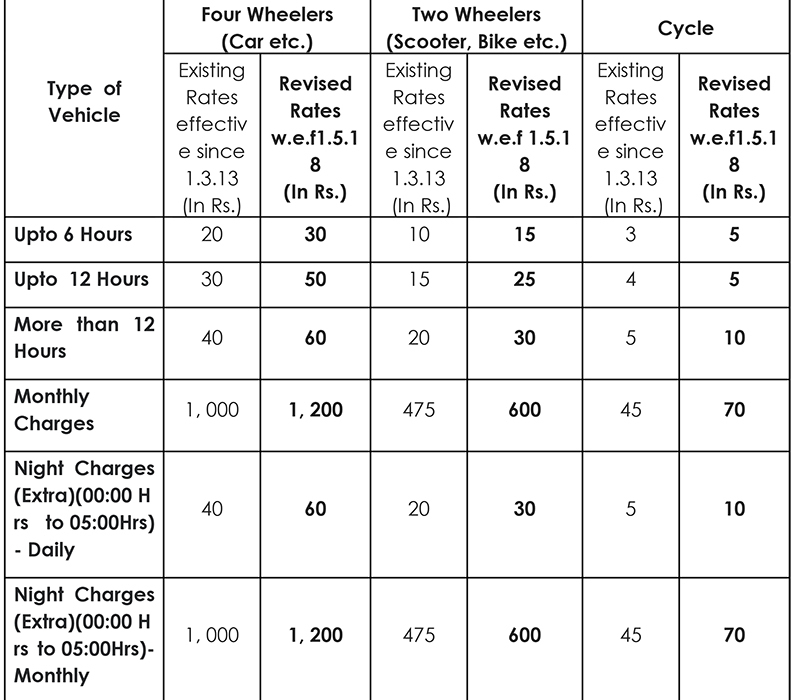 Likewise, two-wheeler vehicles cost more than 12 hours, which will increase from May 1 to 30 rupees. Monthly charge has also increased. So far, the monthly charge for parking of four-wheeler vehicle was Rs 1,000, which would increase from 1 May to Rs 1,200. 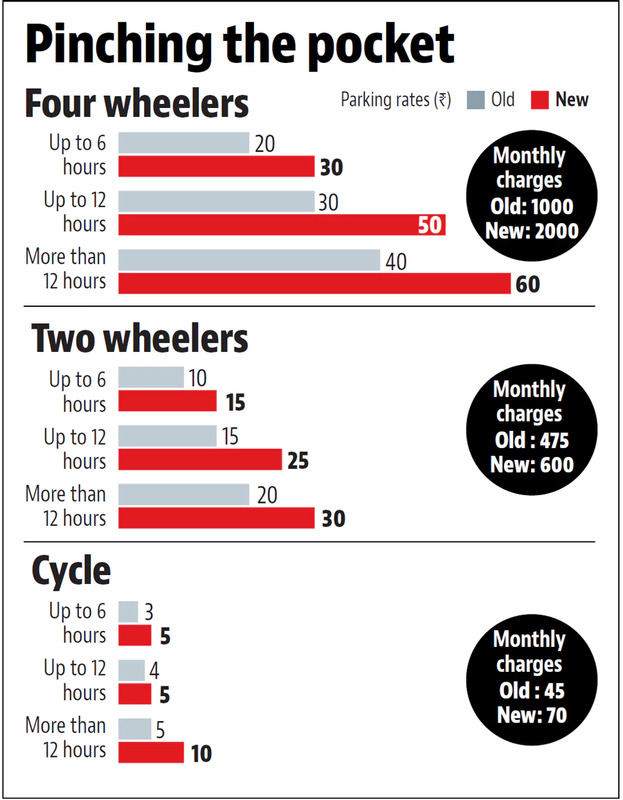 The monthly parking fee for two-wheeler is Rs 475, which will increase from May 1 to Rs 600. Metro increased parking charges by 50%. Earler increased fares by 100%. God knows who is advising Delhi Metro. Health minister Satyendar Jain also attacked the hike. “Metro increased parking charges by 50%. Earlier increased fares by 100%. God knows who is advising Delhi Metro.